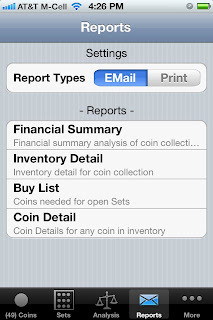 Two days ago we announced plans to add Reports to the flag ship App, goldcollector. Today I have something to share. These 2 screen shots show first-pass design for Reports. On the Reports page, you will notice two sections: Settings, and Reports. 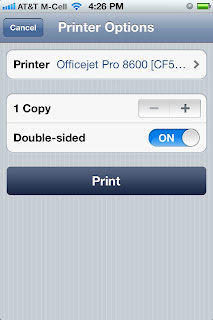 Report Types, under Settings, shows you the type of output's currently supported. Below that, in the "- Reports-" section, you will see a list of currently supported Reports. This report shows a complete list of all coins in the inventory and shows Cost, Market Value, Net Position on each coin as well as summary totals. This report shows a complete list of all coins in the inventory, without Cost information, adding the Notes section. This report shows all coins "holes" in any of the Sets you are collecting. 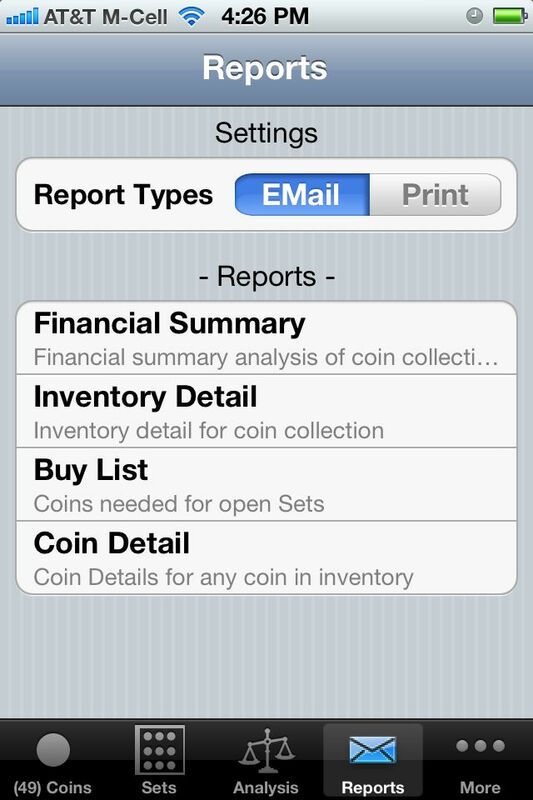 This report is useful for taking to coin shows, or dealer shops. It's a reminder of the coins you need to locate. This single page style report provides a detailed information dump of an individual coin, including any and all photo's of the coin. Very useful for sharing with friends, does not include $$$ information.